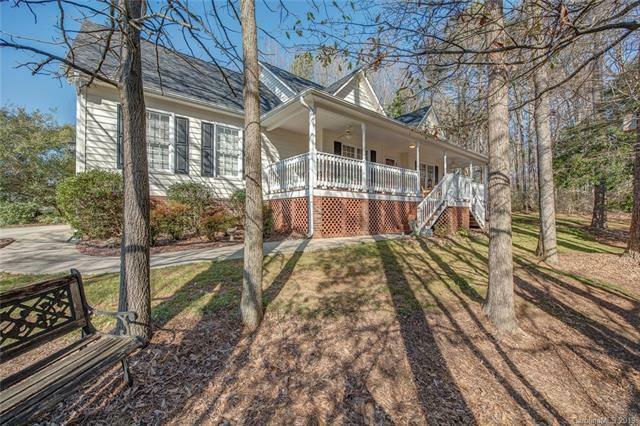 Look at this beautiful Belmont home w a front porch made to enjoy! After your done relaxing on the porch, come on in to this open concept ranch. Hardwood floors, high ceilings & crown molding are just a few features in this custom built split bedroom plan. French doors lead to the office w custom built-ins. Across the foyer is the spacious formal dining room. Kitchen is light & bright w white cabinets, eat at bar & breakfast area overlooking private backyard. Master suite w large walk in closet, separate shower & soaking tub. Great room w fireplace is totally open to the kitchen. Space for grilling & entertaining outback before you hit the hot tub. Secondary bedrooms are a good size. Fenced backyard, side-load garage & a circular drive are just a few more things to love!